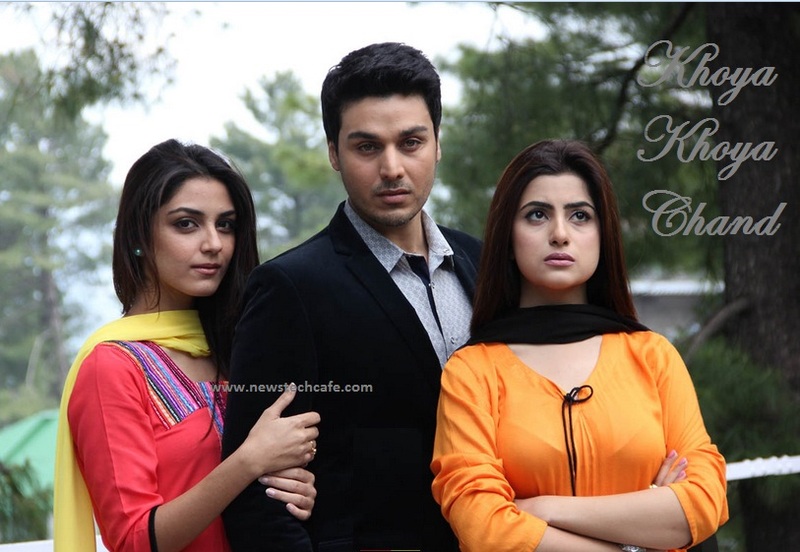 Zindagi Tv Indian Premium Tv Channel is releasing new shows in the Month of November,2015 . 'Khoya Khoya Chand' is an Upcoming Tv serial which is going to be start Soon. This Upcoming Tv Show Story is written by Faiza Iftikhar and this show is directed by Fahim Burney .The show is produced by Ali Afzal. In Pakistan, this Tv serial was same named as 'Khoya Khoya Chand' and aired on Hum tv. Ahsan Khan & Sohai Ali Abro playing lead role in this show and this serial is one of the most popular Tv Shows in Pakistan. Arib (Ahsan Khan) , is an obedient and responsible young man who is the only offspring of his parents. He lives away from his hometown owing to his job. Ahmarain (Maya Ali) is studying at a college and lives in a hostel near him. Arib falls madly in love with her but she soon leaves the hostel and goes back home. The story gathers momentum when Arib is forced to marry because of his mother’s ill-health and finds out that Ahmarain is the younger sister of his wife Angabeen . Angabeen is in love with her cousin Farooq (Yasir Shah) , who cannot marry her because of family problems and does not like Arib. However, as time goes by, they accept each other and grow closer. The birth of their first child is expected soon and their families are very excited about it. At this time an incident takes place which changes all their lives. इस शो को हिन्दी मे पढ़ने के लिए यहाँ क्लिक करे ! Promo of the Show is update soon .